Ever wanted to learn how to code? Do you know the biggest benefits you can get out of learning this awesome language? To be honest, there is so much we can tell you about coding if you are waiting to listen. In this post, you are going to learn some of the biggest benefits of coding, what you can do with it and what are the kinds of programming that you can learn with it. This could actually be your guide to become the next Mark Zuckerburg! So without delaying any further, let us tell you why you should be learning how to code. What can you do with coding skills? Here are some really cool stuff you can do by learning how to code. Hope all of them help you! One of the best things you can do with coding is that you will be able to become a part of the web business or even some kind of a software product. You may also want to be able to create the next Facebook. But since you are short on money and since you want a team to work on it, you will need to have someone who knows how to code. Right? So for this purpose, it is always a good idea to learn to code. In that way you can have your own business. The kind of businesses that fall under this category includes selling software, e-commerce, selling products or even the coding time. With coding, you will officially learn how to work on your computer and that’s a great thing. It is very important to know how to use all machines and coding is a great opportunity for you in order to get that done. You will be able to decide your own script, work on it whenever you like and do whatever you think is right. It will be entirely your own hard work. If you are looking for a change in your career and love a bit of coding, take it up and become someone’s salary coder. There are several computer programmers who are making a whole lot of money out there with this job and you should be able to do the same if you follow our tips. The growth rate of salary coders over the past few years is actually pretty huge. There are many people who have really stepped up their game through coding. You could do the same as well and make insane money. Facebook and Google is waiting to hire you guys! So get out there! Why it is important to learn to code? So why do you think it is important to know how to code? Well, there are several reasons we can give you. Some of them are enlisted here! This happens to be one of the biggest benefits, especially for those people who want to leave the same old 9 to 5 pm job. 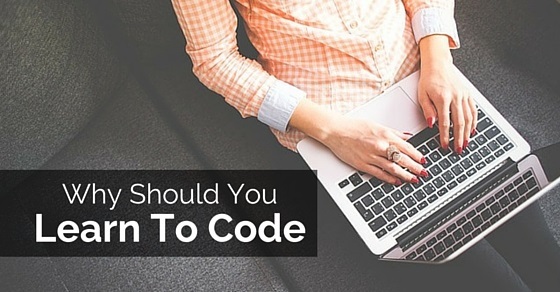 By learning the language of coding, you will now have the chance of making your own schedule. Of course, there will be a few deadlines and there shall be meetings but you will for sure have some idea and control over when you should get things done, where should they be done and at what time. There are experts who have taken holidays, got back at the time they wanted and resumed work once again. You will also have the right to do that. A second benefit of knowing how to code is that you don’t have to work much but you will really be paid well for it. There are many developers who have much more experience and they end up making far more money than newbies. Even though it is all about the time and experience, you will still be making a lot of money. All you need is a few years of experience and a fancy profile. In any case, tech skills are important and if you have them, then nobody can stop you. Plus a good thing about this job is that you would love every bit of it. Even though I might not be able to recall very well, but there have been several job offers I have got after learning how to code and I have said no to them. After taking whatever I could get my hands on, even if the compensation came into the scene, I could still say no. When I became very strong with the whole web development thing, then worrying however was not a thing; something that troubled me much when I had very little knowledge. I can now easily look at a few job offers and turn them down without thinking much about it. From now on, people will come to you asking if you can work from them. Those days are gone when you will be hunting for jobs. People will come to you and request you to work for them. Now there is no need for you to worry about those online jobs. Neither do you have to keep updating your resume or your LinkedIn profile. Now that you have coded, everything in the world is taken care of. You can take as much time as you really want. The good part is that, the amount of skills and experience you have gained, the more this will become a distant memory. Apart from having the opportunity to work for several hours per week, you will also have the chance to spend a lot more time on several other things such as hobbies, passions and other family time-related things. Plus if you love to travel, you will have the time to take care of them as well. Some people have also become successful bloggers after learning how to code. Not only does it fit their lifestyle but also lets them be who they want to be. Just like things have turned out today, I would not be able to work this well if I didn’t learn coding at any point of my life. So what are the of learning to code? Find out in this section. By learning the valuable language of coding, you will be able to attract better employers who will immediately throw themselves in front of your car. This is another huge advantage of becoming a programmer. When you learn how to code the right way, several benefits will automatically come your way. People will now want you more and would like you to become a part of their company. You should definitely watch out for these ones. You never know what comes your way. Good news for all those people who love being in front of the computer. When you master the art of coding, you automatically are able to spend more time with your lappy. After all, you get to play with all the keys that are themed on alphabets. They will not just help you as a coder but also help you enjoy yourself while working. Now isnt that great? The moment you come across a physician or even a surgeon and even tell them about how you have performed the whole surgery on the computer, they will begin to look at you in the eye, shake hands with you and then say that you should continue doing the work that you always do so well. This is one of the biggest benefits you will ever get. Even though there are people who will wonder what happens when their banking info isnt in front of them any more or how did someone else manage to hack their life savings and take them away, you don’t have to be one of those people. That is because you will have a good idea on what has been done and what you need to do in order to keep yourself and your friends safe. Have you thought what would it look like if one of your praying mantis had to be smashed by a holy book or something? If you become good at coding, you will be able to use this power and in that way you can easily use this power in order to make something that is very accurate. For this, you will need some 3D stimulations and you’ll have to depict them with the help of this dream scenario. Yes! This is really possible if you give it a shot. Yes, she could be a machine and have a body that is made of code, but it will surely be the same thing. Theresa is someone who can definitely be bought back to life if you are well versed with the language of coding. Things will be how they used to work. We would always recommend you to get some training done from some proper institution. There are several places that teach you how to code and if you want, you get a crash course or a 6-month course done. That should help you as well. Every city has coding boot camps and if you want to learn how to get it done, trust them. And there will be no looking back soon after! This brings the post to an end. If you have found our ideas and tips helpful and would like to give us some of your valuable feedback, please don’t forget to leave a comment below. We would love to hear from you. Apart from that, if you have some questions in mind, let us know some of them as well. We want to answer all of them. On that note, good luck and happy coding to all of you!